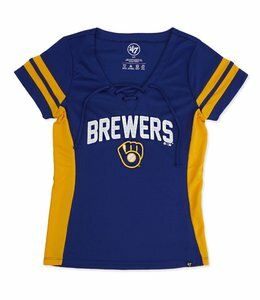 Women's V-Neck top featuring lace-up details at neck and metallic jewel filled logo treatment. 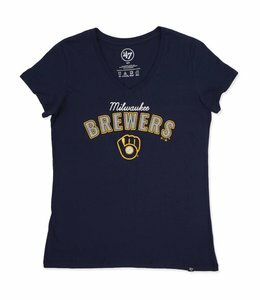 Women's Brewers V-Neck tee shirt featuring metallic filled logo screen print at front. 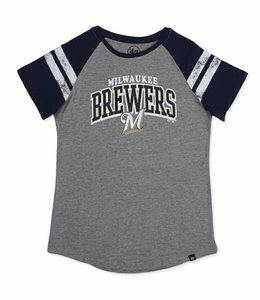 Short sleeved women's raglan tee shirt featuring contrasting sleeves and distressed screen printing. 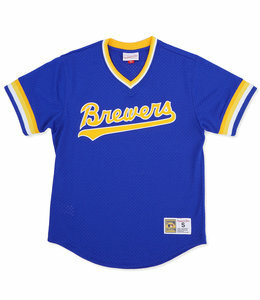 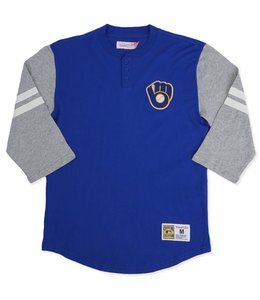 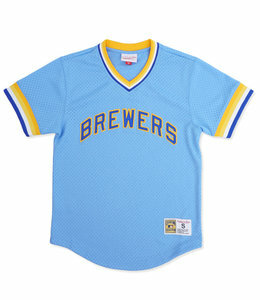 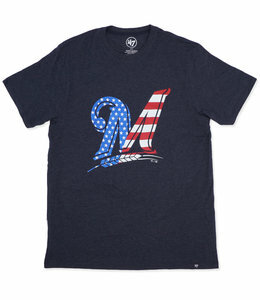 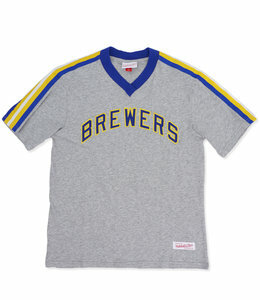 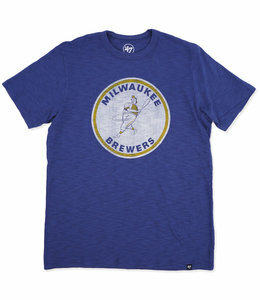 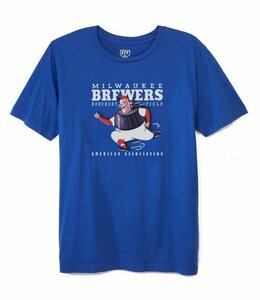 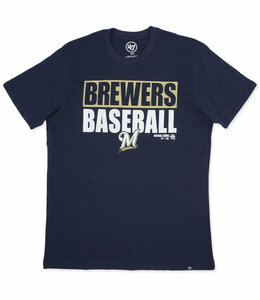 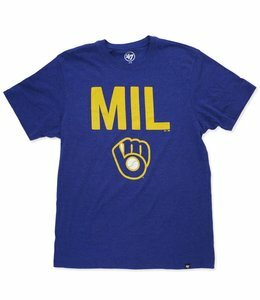 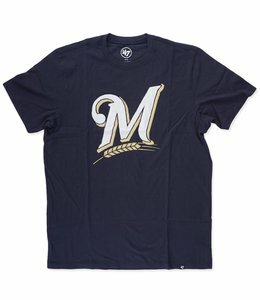 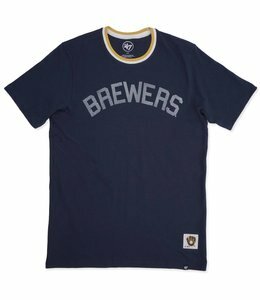 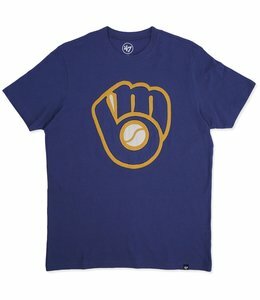 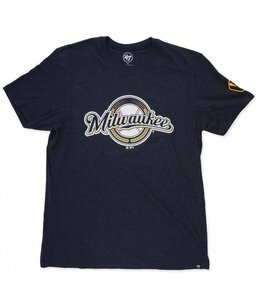 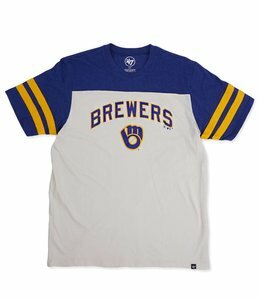 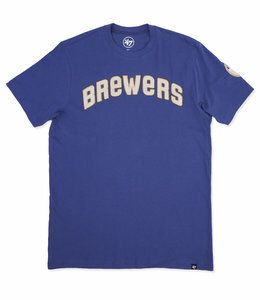 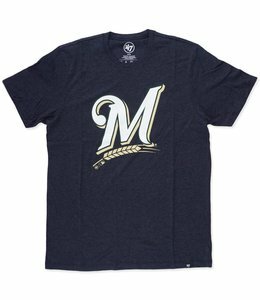 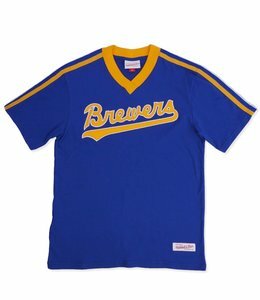 Rep the greatest team in style with this Milwaukee Brewers Present logo graphic tee from '47 Brand.